Theres three elements to a portrait photograph. The light, composition and subject. 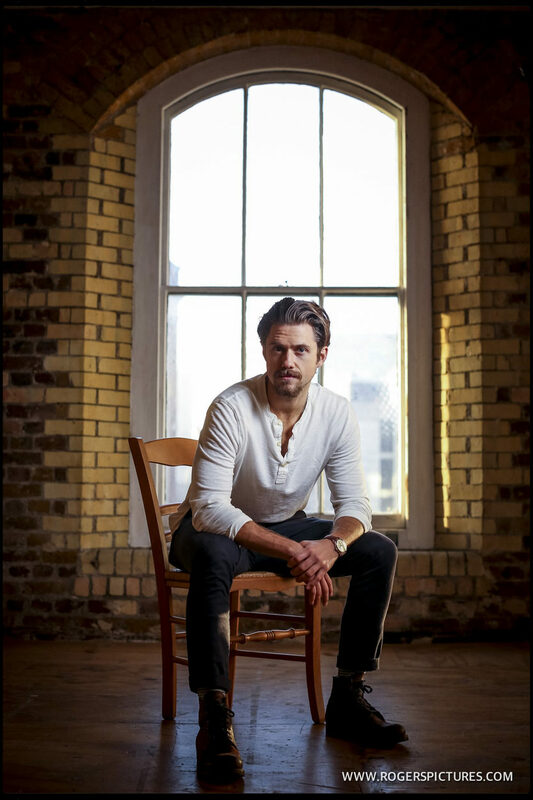 As a photographer, I need to have confidence to control all three to varying extents, but for this portrait session with American actor and singer Aaron Tveit, all three of those factors were pretty much taken care of already. We met at a rehearsal space in South London to shoot some portraits for an article in the London Times. I arrived early to look for locations and set up the lights. I can’t be sure of the lighting at a new location, so I always have enough lightweight equipment to allow me to get a variety of portraits in a very poorly lit situation. I needn’t have worried there – huge windows were letting the afternoon sunlight stream into the room. There were a lot of options, from nice warm diffuse light in the corners of the room to stark highlights and shadows in the direct beams by the windows. And the third element – subject. What can I say? 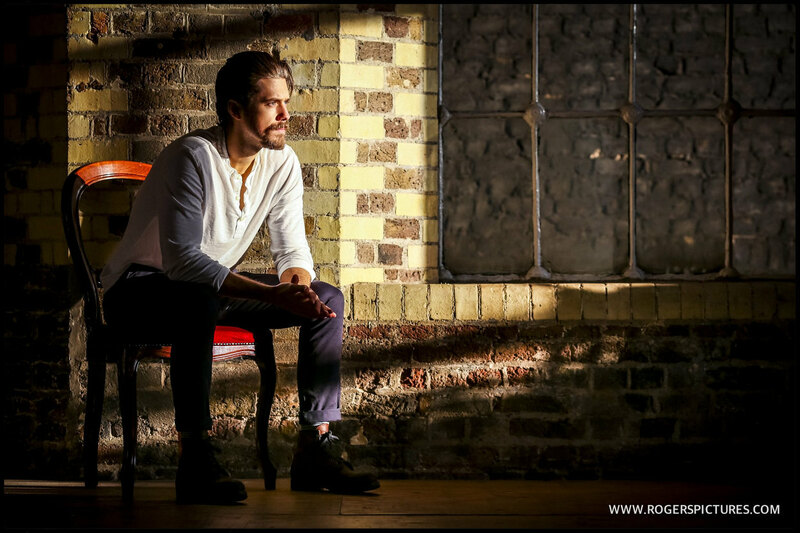 Aaron Tveit is a dream subject. He looked great where ever I positioned him, and as with most actors, he has an innate ability to position himself in a relaxed and interesting way. He needed very minimal direction from myself, so I could concentrate on the composition and lighting. 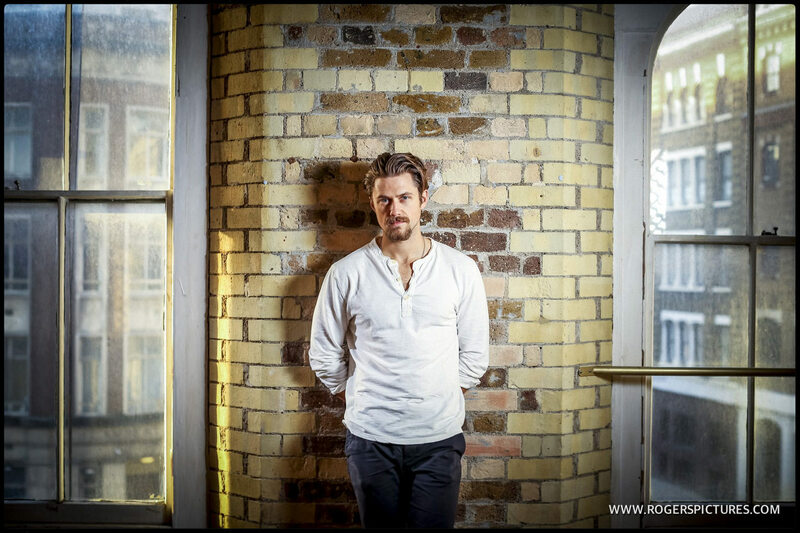 Here’s my favourite portraits of Aaron Tveit from this session. It’s a mixture of natural light and some supplemented with a little strobe flash from a softbox. Here’s some more of my editorial photography for TheTimes newspaper.